Our product range includes a wide range of clobazam, pharmaceutical exporter, generic medicines, sertraline hci and pharmaceutical formulations manufacturers. We are leading Exporter and Manufacturer of Clobazam. 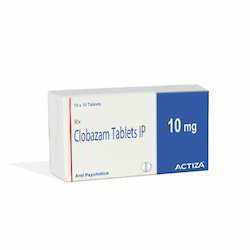 Clobazam induces sleep and controls seizures or fits by increasing the action of GABA, a chemical messenger which suppresses the abnormal and excessive activity of the nerve cells in the brain. Actiza Pharmaceutical have earned global recognition in a very limited span of time. Working with the sole motto of serving global clients with premium quality of bulk drug raw materials this notable player has acquired a major stake in its discipline. 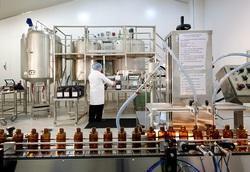 The company is a prominent merchant exporter of Pharmaceutical Products, Biological products and Nutritional products. We are leading generic medicines exporter and manufacturer. We export all our products to unregulated market and semi regulated market. We have wide range of generic medicines which more cost effective and at the same time provide same efficacy. We are leading exporter and manufacturer of Sertraline HCI. 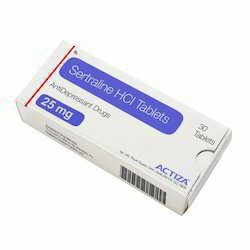 Uses Sertraline is used in the treatment of post traumatic stress disorder, depression, anxiety disorder, obsessive-compulsive disorder and phobia How it works Sertraline increases the levels of serotonin in the brain. Serotonin is a chemical messenger in the brain that helps in regulating the mood. Common side effects Nausea, Diarrhoea, Insomnia (difficulty in sleeping), Headache, Fatigue Sertraline HCI Tablets exporter, Sertraline HCI Tablets manufacturer Sertraline HCI Tablets supplier, Sertraline HCI Tablets manufacturer in India, Sertraline HCI Tablets exporter in India. Actiza Pharma pvt ltd is one of the leading Pharmaceutical Formulations manufacturers with multi-dimensional business activities worldwide. We have been exporting the Pharmaceutical products to a number of countries. The company is widely involved in manufacturing antibiotics, generic formulations, liquid orals, and dietary supplements and only the high-grade whole vitamins as well as highly absorbable nutrients are used. The company has carved a niche for itself in the sphere of operations of manufacturing Sterile Products, at the renowned house of pharmaceutical division.